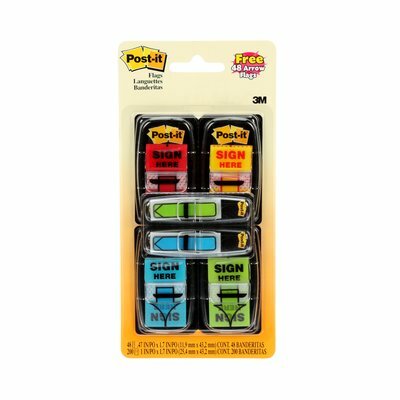 Post-It Flags 680-SH4VA1 inch Sign Here Value Pack With Bonus Arrow Flags, Pack of 4. Find what matters fast with Post-it® Flags! Perfect for marking a section of a book, document or manual for easy reference later, with enough space to write on so you can add notes to customize. 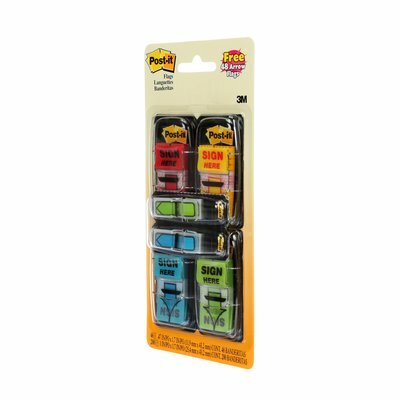 Post-it® Flags stick securely and remove cleanly, and come in a handy dispenser to easily keep within reach. 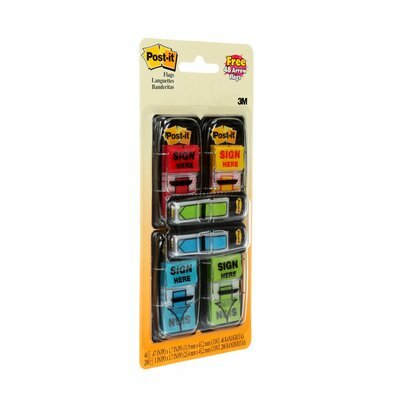 This value pack includes a variety of primary and bright colours; one dispenser each of yellow, blue, green, bright yellow, bright blue, bright pink and bright purple. It also includes a bonus of 1/2 inch (1.3 cm) Post-it® Arrow Flags.